One of the best instructional strategies for ELs is using lots and lots of pictures. 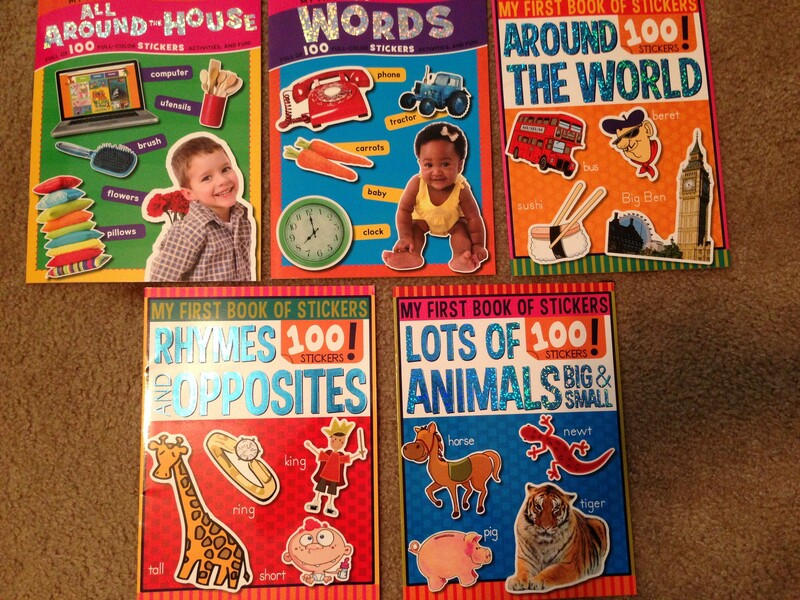 I found these books at the Dollar Tree that included 100 vocabulary words with activities. 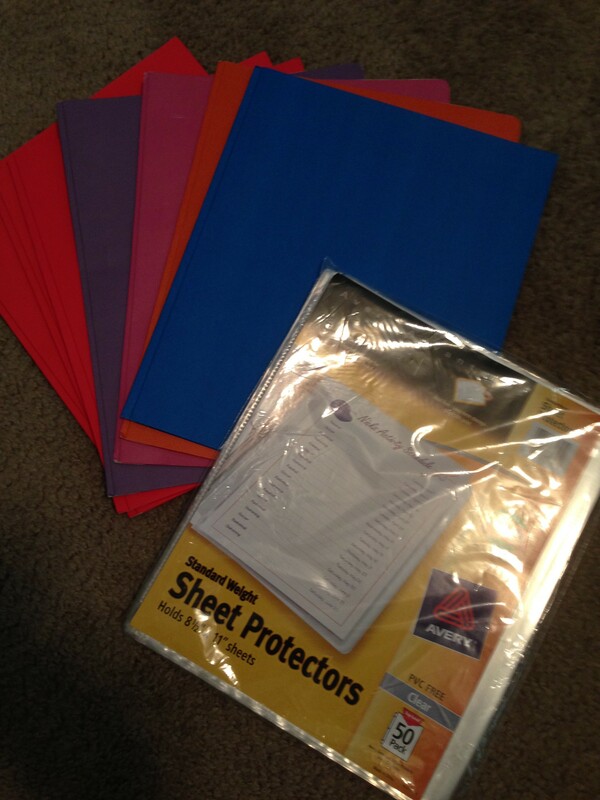 Add in the cost of page protectors and three-pronged folders and the cost was less than $2 per book. I’m excited to use these books in small group activities — especially with my kindergarteners, first graders, and newcomers. After going through 700 stickers, however, I’m not sure I’ll be making more in the near future. 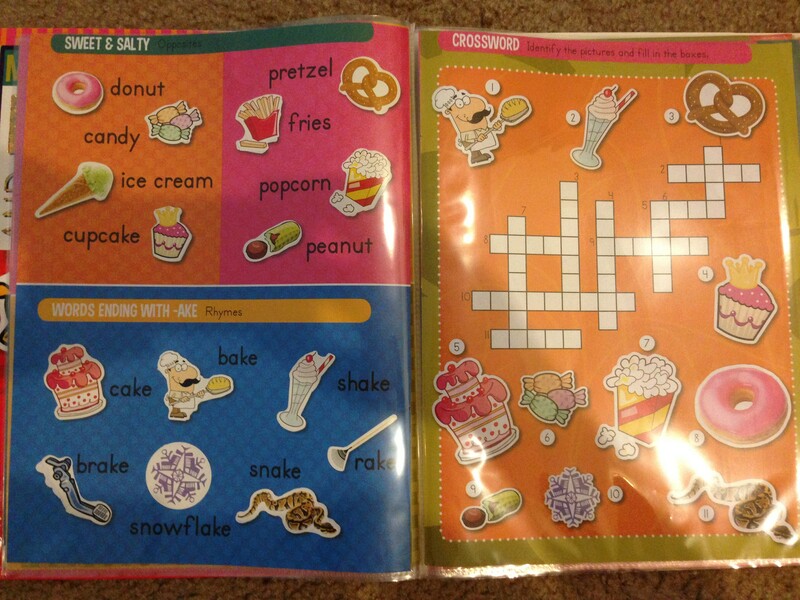 But there you have it, cheap, fun, re-usable activity books to help with vocabulary development. 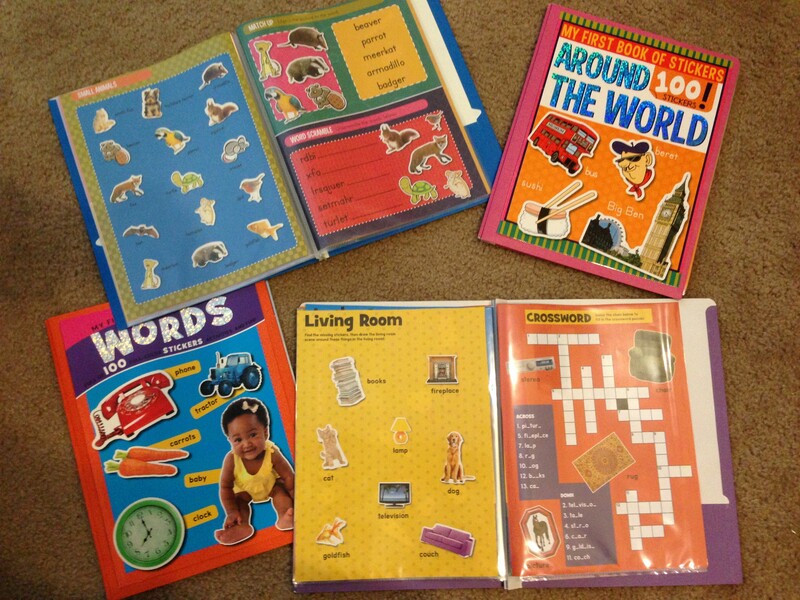 Cut apart pages, position stickers, slip into the sleeves and glue the original covers to the front of the folders and there you have it – the finished products! Posted on June 17, 2014 by Katie •	This entry was posted in School and tagged 1st grade, ESL, kindergarten, newcomer, picture books, school, vocabulary. Bookmark the permalink.